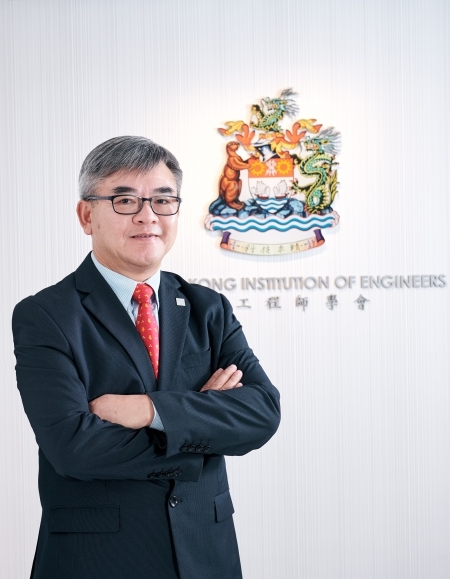 The Hong Kong Institution of Engineers is pleased to announce that Ir Ringo YU Shek Man was installed as the new President for Session 2018/2019 effective from 1 September 2018. As HKIE Fellow, Ir YU was elected Vice President in 2016. Other than serving in the Executive and the Council, he had held a number of leading positions in various Boards and Committees and Task Forces and has made significant contributions to the development of the Institution and the advancement of the engineering industry in Hong Kong. Ir YU had his secondary school education in St. Joseph’s College in Hong Kong. He graduated from McGill University, Montreal, Canada with a Bachelor Degree in Civil Engineering and Applied Mechanics in 1982. He is a Registered Professional Engineer in Civil, Geotechnical and Structural Disciplines. Ir YU is the Founder and Managing Director of Fraser Construction Company Limited. With over 30 years of experience working for the consultants and contractors, Ir YU is actively serving the engineering profession and the Hong Kong community in different public bodies. He is currently the Vice President of Hong Kong Construction Association, a member of the Construction Industry Council, Engineers Registration Board, Construction Workers Registration Board as well as Employee Compensation Assistance Fund Board. In 2016, Ir YU was awarded the Bauhinia Leadership Volunteer Award by the Agency for Volunteer Service in recognition of his outstanding contribution and achievements in volunteer service. With his extensive professional and management experience, strong commitment and enthusiasm in serving the profession, Ir YU is well positioned in representing and leading the HKIE to new levels of achievement. He looks forward to engage young members of the Institution to partake in the growth and continual development of the Institution, and to promote the professional image of engineers to students in Hong Kong.